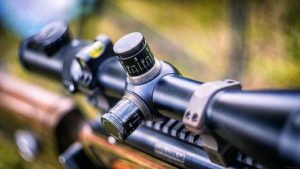 What Are Survival Optics and Why You Need Them? In 2005, the Marines entering Iraq were equipped with ACOG rifle combat optic and were massively successful. So much that there was a congressional investigation regarding the number of headshots that the Marines were making. Optics increase the ability of any shooter and are a substantial force multiplier. It’s easy to dismiss optics, especially modern tactical optics, as being unneeded on combat rifles. They can often be seen as an aid or a crutch when it comes to combat rifle shooting. However, keeping this attitude means living in the past. In the modern realm, if you are involved in a self-defense shooting, you want every advantage possible. Any prepper or survivalist carrying a rifle should consider investing in a quality optic. But this doesn’t mean that iron sights are inefficient or outdated. If you are going to let me choose between a scope or iron sights, I’d advise iron sights. With all that being said, a high-quality rifle optic makes shooting simpler and faster. The downside of iron sights is the fact that the front sight often obscures your vision when it comes to long range shooting. For close range shooting, the process of aligning iron sights and getting on target is significantly slower than utilizing a proper optic. A quality rifle scope allows shooters to engage targets at extended ranges easily. With a quality optic and a good rifle, you can hit a man-sized target out to 500 yards with an AR 15. That’s an unlikely shot, and it’s somewhat hard to justify a self-defense shooting at that range, but it’s possible. Fighting at 200 to 300 yards, it will be substantially easier to engage an attacker especially when they are hiding behind cover and presenting a smaller target. Outside of combat situations, an optic makes hunting much easier. In that same realm, it makes scouting easier as well. In Afghanistan, optics are often used to scout the surrounding area. 4 power ACOGs make searching the road for IEDs much easier. In a survival situation, a variable optic or even spotting scope makes road damage and debris easy to spot from a distance. You’ll also be able to identify friend from foe at a distance. The presence of an optic on a rifle is an invaluable tool. If you live in an urban environment, a variable or magnified optic may not be the best solution. However, a red dot scope increases your ability to hit a target accurately and quickly. In close quarters combat, speed is king so you have to get to the target faster than your opponent. Red dot optics are ideal for close quarters combat. Optics with illuminated reticles are much easier to use in low light situations and even in the dark of night. Iron sights are nearly impossible to use effectively at night. Red dot optics can be teamed up with magnifiers to increase their range when necessary. In a running gunfight, your opponent is going to be moving, they’ll like be running, maneuvering, hiding behind cover and shooting back. In these situations, it’s much easier to track your opponent as they run and move. With iron sights, the sight picture is often too obstructed to track an enemy effectively. Variable optics offer higher magnification levels and a range of different magnification levels. They are quite versatile and can serve well in various types of rifles. They are commonly used on hunting rifles. They allow shooters to see and shoot targets near and far. They are becoming very popular for modern defensive rifles like the AR 15 or AK 47 as well, and tend to make use of both close and long range ability. 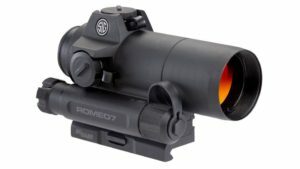 This straightforward and affordable optic is a first focal scope with significant power and a good reputation. The FFP design means the reticle grows and shrinks as you increase or decrease the magnification so the holdover points are accurate at any magnification range. Primary Arms is one of the most affordable FFP optics and is built to last. 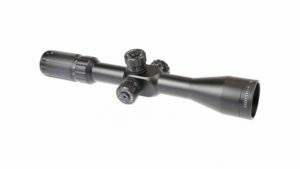 This particular model is higher on the magnification range and is best suited for long range bolt action and precision rifles. The Burris MTAC utilizes the very popular 1 to 4 power range. A 1 to 4 power scope allows shooters to easily use the close and longer range aspects of modern semi-automatic rifles. At 1X with its illuminated reticle, it’s a half decent red dot scope; and dialed up to 4 power, a good shot don’t have any issues seeing and hitting targets that are 200-300 yards away. The Trijicon ACOG is the king of fixed power combat optics. Designed with combat in mind, this optic can and does go to war and come back. 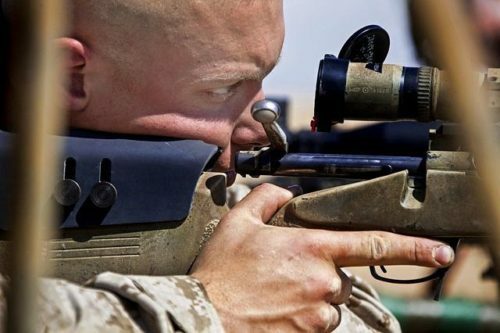 The ACOG is available in a wide variety of magnification levels, with 4x being the choice of United States Marines and soldiers. The biggest downside is its high price tag. It’s often over a grand in price. A more affordable alternative is the Primary Arms Compact Prism Riflescope. It is a lightweight, 3 power optic that is built for the 5.56, the 7.62 x 39mm, and the 300 Blackout. Each has a reticle that is tuned to its respective round and feature ballistic drop compensation. Red dot optics are insanely simple optics with little to no complication. They utilize a red dot as the reticle, although some people use a green dot. Red dots are perfect for close quarters combat and offer shooters a precise and accurate means of engaging a target rapidly. They are suited for rifles and shotguns. SIG’s newest line of red dot optics is becoming quite popular. Designed to be functional, utilitarian SIG has even met the FBI standard for red dot optics. It is a full sized red dot optic that is well suited for any rifle or shotgun. 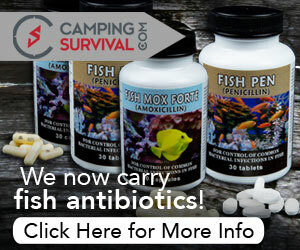 It’s large, easy to use, and incredibly durable. The SIG Sauer ROMEO7 is also priced affordably. Optics are designed to make a shooter’s life a lot easier. 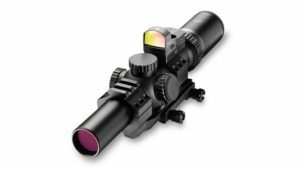 With a high-quality optic, the user can accurately and rapidly engage targets. A high-quality optic should be water-, shock- and fogproof. 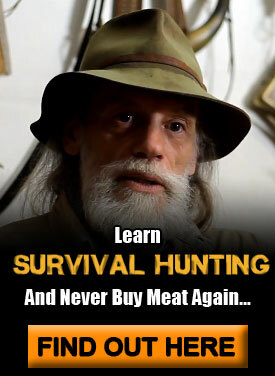 Any prepper and survivalist should consider an optic for hunting, combat, and scouting. This post was contributed by Almo Gregor. Almo is a firearm enthusiast, an avid hunter, and a strong lifelong 2nd amendment supporter. Outdoors, hunting and shooting were a big part of his childhood and he continues with these traditions in his personal and professional life, passing the knowledge to others through freelance writing. I won’t normally comment on any blogs, but anyone who ever shot the USMC known distance course prior to the issue of the ACOG can attest you can most certainly make 500 yard shots against a man-sized target with iron sights using an AR platform (the M16 service rifle). Although I’d agree it’s unlikely you should ever have to make shots like that in a self defense situation it is possible to put 10 rounds in the center of a target with proper technique even if you have glasses as thick as coke bottles. I agree with John ^ Haha. That’s a solid rifle. DONT DISS IT! 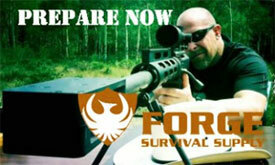 What Are Survival Optics and Why You Need Them? | O.G.C.